Love this bikini and galaxy leggings ! When I went to repair my phone, I accidentally dropped it, I walked past a Hunkemoller store. I knew I wanted this bikini so I wanted to check if they had my size, and I was lucky ! Like I told you in my last post I'm crazy about leggings. When I saw these on blackfashionstore.com, I knew I had to have them. They just came in and they look great ! Already thinking about how I'm going to wear this. I'll keep you posted ! 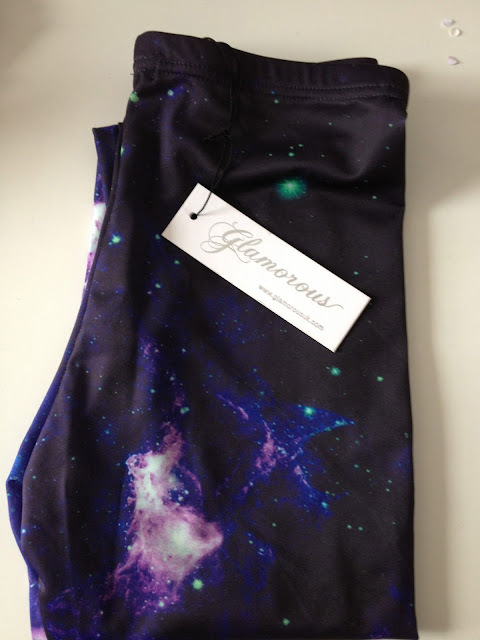 galaxy leggings by Glamorous via blackfashionstore.com, bikini by Hunkemoller.